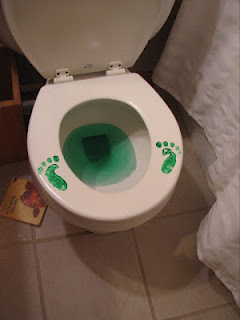 How To Make Leprechaun Feet . . . because you asked for it! Well because so many of you have asked, here it is. 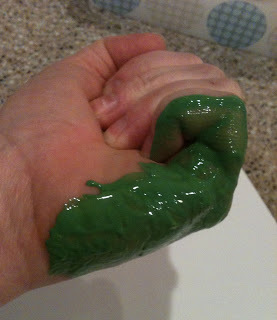 This is the quick and dirty tutorial of how I make my leprechaun feet. Please understand, I am completely doing this on the sly. 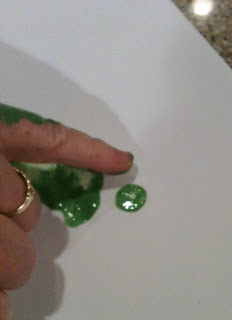 My two oldest Irish lads are away at CCD class (yes they are 8 and 5 and still believe in leprechauns) and my baby (ok, he’s 4 but he’ll always be my baby) is being distracted as I sneak some green paint and a brush and my iPhone (the worse thing for pictures by the way) to get you the play by play. So forgive my lack of picture quality. It’s not easy taking pictures with one hand while painting with another. 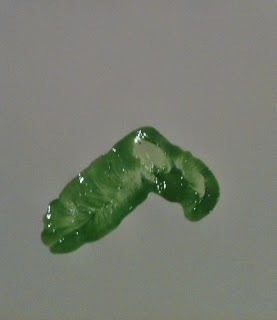 First get yourself from green paint and a brush. I like to use tempera and add a little bit of dish soap to make clean up easier. You’re going to want to use this side of your fist. The side where your pink is located. 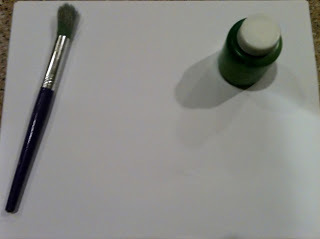 This will be the side you paint and will make the base of your footprint. 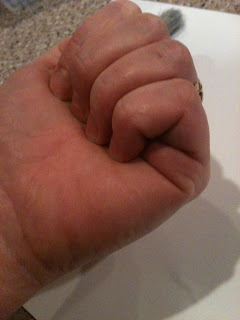 Paint the entire side of your fist. 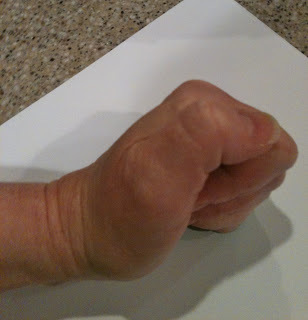 Press your fist onto the surface where you want the print to lay. Think about your toe placement. Your toes should get progressively smaller. 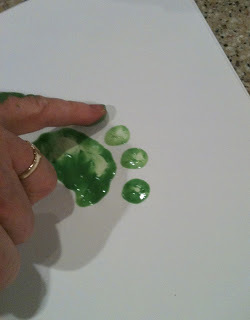 I find that my pinky works best for making toe prints. 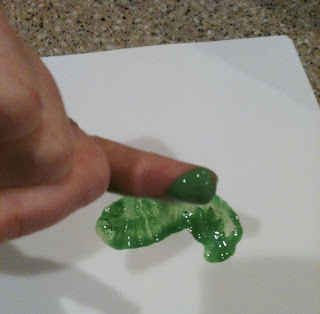 Dip your pinky in some paint. Remember leprechauns only have 5 toes. And there you have it. You’ll need to use your other hand to make the matching foot of course. I like to make a bunch of rights and then go back and make the lefts to match. It’s easier than switching back and forth. I’d love to see some pictures of your little own little leprechaun feet so make sure to let me know how they turned out. 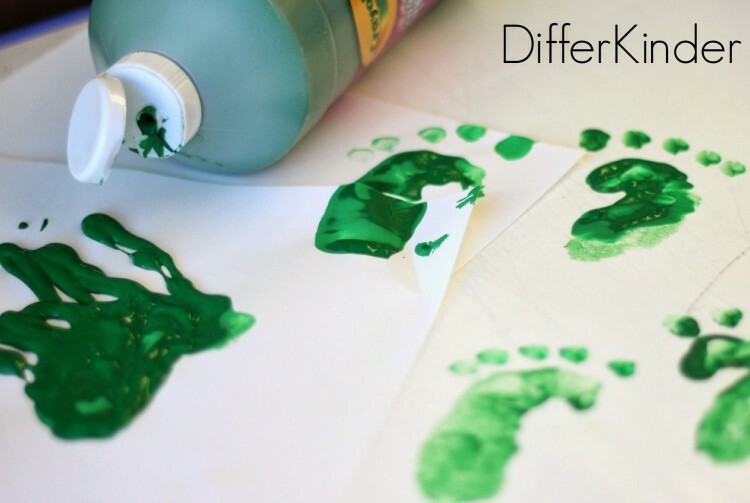 For more ideas for St. Patrick’s Day Fun in your classroom or home, click on the pictures below to see my other posts with tips and tricks. Too cute. 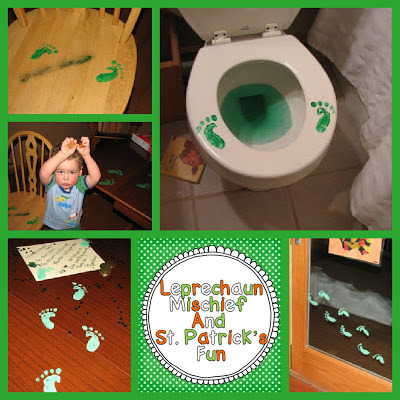 We are doing a leprechaun treasure box this yr with my son Liam(3yr) this would be cute to have foot prints going up to the box for him. My son just cant wait to see what treasures he will find st patricks days in his box. What do you use in the toilet? I have heard certain things stain badly…i am curious about the staining also…but i love this idea! Awe I love it! We just got done with our leprecaun trap!  thanks for posting! 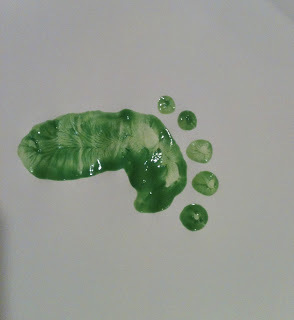 I used your footprint idea yesterday. I posted pictures on my blog. Thank you for the idea! My students loved it!!! Loved this idea! I had never put them on the toilet before. I pinned your toilet picture a few weeks back and 1200 people repinned it! Craziness! Thanks for the cute ideas! this is hilarious and looks easy to do! 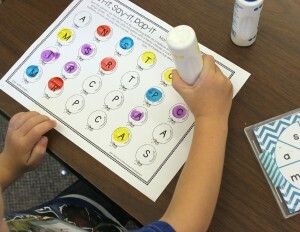 This is going to be so much fun to do for my little guy this year!! Thank you!! !